A lot has been said and spoken about the millennial generation but is managing their career expectations really such an uphill task for companies? Shikha Singhal, Head of Axtria Institute, shares her perspective from building that journey on learning at Axtria. If purpose and development drive this generation; for millennials, it is learning that fuels their growth & career advancement. So, it is no wonder that learning & development (L&D) makes it to the top five expectations that millennials (or the Gen Y) have from their employers. They are actively looking to build their careers by gaining relevant and future-proof skills, and organizations need to rise to that profile. While every organization is doing its best to provide a variety of L&D opportunities, very few manage to make it an organizational fabric or imbibe a learning culture as their DNA. When we started with the Axtria Institute (our L&D organization) in 2013, we understood little about this difference. Today, the Axtria Institute is synonymous with one of the best training programs in the Analytics industry. While there are several reasons for aspiring millennials to join the fastest growing Analytics company, the Axtria Institute certifications is a huge & irresistible temptation! Integrate learning with goals, competencies & performance: For learning to become a part of the DNA, it needs to be tightly integrated with the performance management processes. Feedback vis-à-vis goals & desired competencies feed into developmental goals, which in turn, should feed into an individual’s learning plan. Know your business & bring a “process” mindset: Only when the L&D team knows and relates to the business, can it create a meaningful & relevant learning intervention to service different client engagements, and allow for long-term holistic careers. Additionally, the team needs to have a “process” mindset to be able to design and institutionalize scalable processes. Business Context is the key: While third-party partners provide the necessary scale, in-house experts have the relevant business context. Leverage an optimal mix to design a custom solution where the third-party offering can be contextualized to your own business. This is true for all types of training, including technology courses. Very often the latter is assumed to be restricted to the teaching of syntaxes. Everything, including any syntaxes or codes, must be taught in the context of the business problems and offerings. Carve out meaningful “learning paths”: A learning culture calls for meaningful learning experiences with structured & relevant “learning paths. A growing organization allows for multiple career tracks across various lines of businesses. Learning programs must be carved to map against each of these career paths. Have a clear value proposition for in-house experts: Since context is the key, there is a significant dependency on in-house experts to put together a rich and evolving catalog of relevant material. At the same time, given the never-ending demands on their bandwidth, it is important that they see it as a valuable milestone in their careers. As an example, at Axtria Institute, the experts get a platform to rise through the ranks from Trainer to Mentor to Guru while mentoring and coaching the new hires and, in the process, grow into future Axtria leaders. Ensure rigorous process governance: Define and operationalize robust processes, especially those related to creation & modification of content. The L&D teams must be the gatekeepers of content quality. It is important to identify “course champions” (senior folks in the organization with proven expertise in their subject area) in each of the training subjects and define relevant tollgates for content approvals & version control. It is equally critical to define guidelines & standards around training levels (beginner, intermediate, advanced) as well as course materials (templates and structure). Back it up with the right policies, incentives & mandates: Leverage both “push” and “pull” mechanisms. Define training mandates & learning hour targets across every level of the organization. Award learning hours to trainees and credits or points to authors & trainers to incentivize continuous learning, training creation & delivery. These credits and learning hours should be linked to an employee’s performance and growth in the organization. You may also consider reimbursing associates on successful completion of business-critical external certifications. Invest in the latest technology: To build scalable processes, invest in a robust Learning Management System. Free up L&D team’s bandwidth for strategic thinking around learning paths, plans, and content. Given the short attention spans, leverage mobile-enabled platforms to deliver content. Close the loop: Leverage formal and informal feedback to improve the content over time. It helps to maintain an ‘issue log’ to track & close on any actions resulting from the feedback. Establish a periodic process to review all inputs & closure on the resultant actions with the individual course champions. Additionally, establish a semi-annual or, at least an annual, process to revisit all course content and update it as per the latest trends or progress in thinking. Ensure buy-in from the top: Last but not the least, establishing a learning culture requires buy-in from the top. The CEO and the senior management need to “walk the talk” and make learning a priority. Establishing a high-impact learning culture requires a combination of right people, priorities, processes, policies, practices, and products. The effort is not small by any stretch but, is totally worth it, especially if organizations want to do a better job of engaging & retaining millennials. Shikha leads the People Practices at Axtria. She is extremely passionate about building positive workplaces that exude success, happiness, and pride. 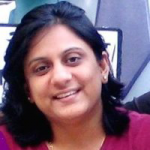 Shikha is responsible for crafting appropriate processes & systems to impart values and behaviors - in a way that makes for a great place to work for our employees and a great one to work with for our customers. Feel free to drop a comment and share your perspective.